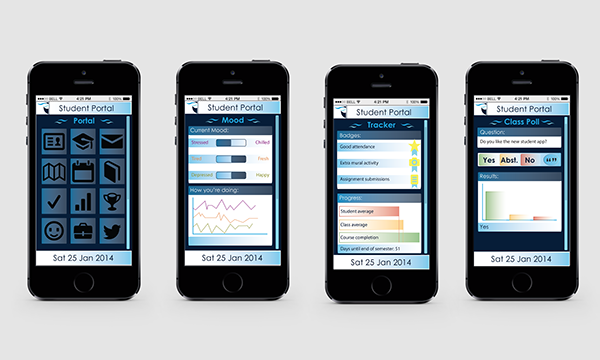 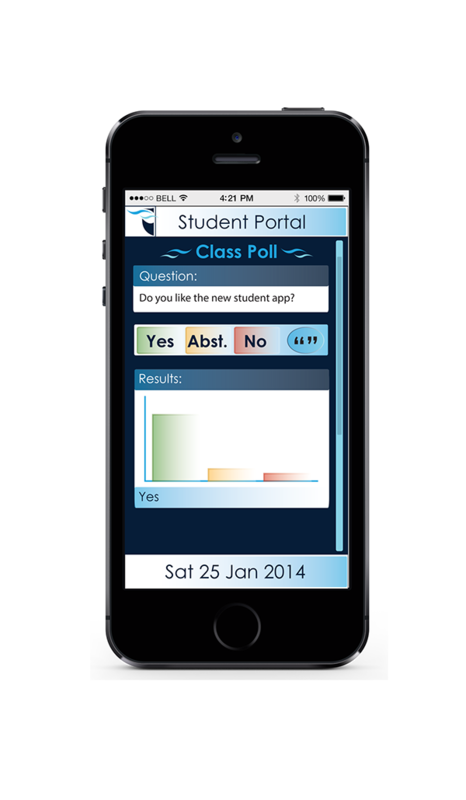 Look and feel Mock up for an App for CPUT students which would allow them to use their smartphones to access a variety of features including their academic reports, correspondence, a campus map as well as unique tools such as a mood graph tracking how each student is coping, a goal and badge tracker to motivate and inform students on their course progress as well as a class poll feature allowing students to vote on class topics and discuss these further in a chat forum. 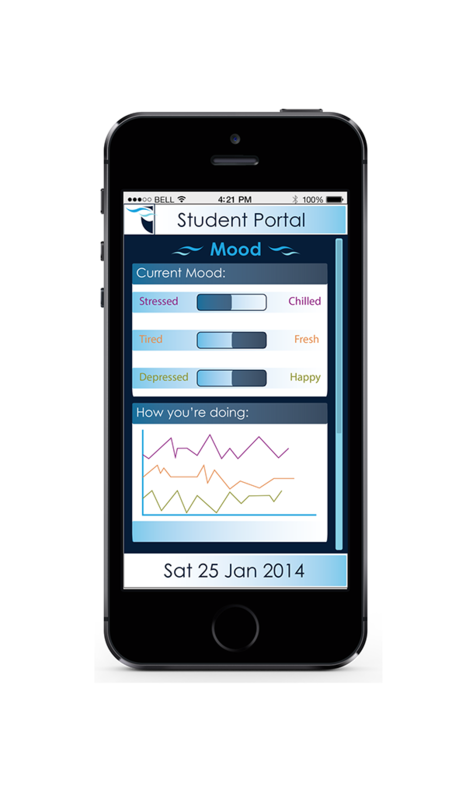 The App was conceptualised by Prof Johannes Cronje as part of an innovative push towards waste free and up to date communications among the university. 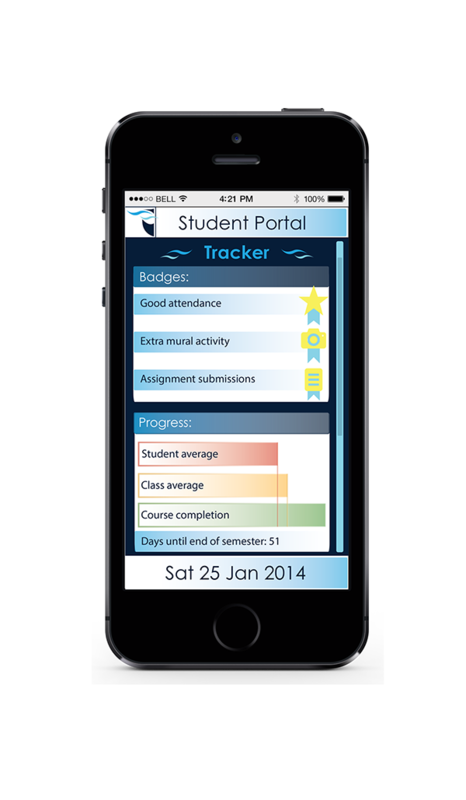 Front end App design: Student Portal Look and feel Mock up for an App for CPUT students which would allow them to use their smartphones to access a variety of features including their academic reports, correspondence, a campus map as well as unique tools such as a mood graph tracking how each student is coping, a goal and badge tracker to motivate and inform students on their course progress as well as a class poll feature allowing students to vote on class topics and discuss these further in a chat forum. 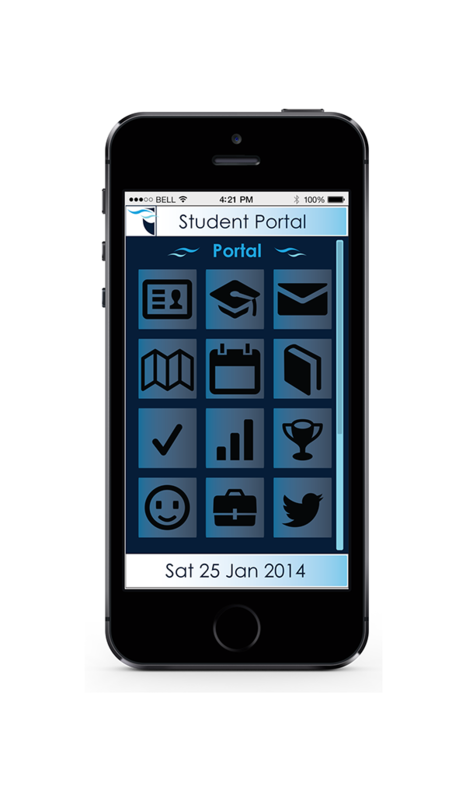 The App was conceptualised by Prof Johannes Cronje as part of an innovative push towards waste free and up to date communications among the university.